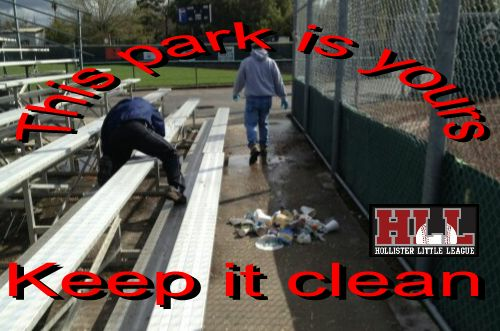 This park is yours... Keep it clean. Please be sure to put your litter in the garbage cans placed conveniently all around the ballpark. Recycle your bottles and cans! Place them in the recycling bins. With your help we can "Keep it clean".